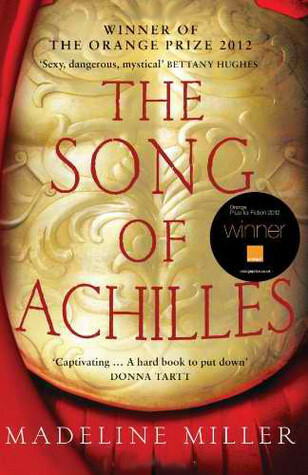 Synopsis of The Song of Achilles by Madeline Miller: A tale of gods, kings, immortal fame, and the human heart, The Song of Achilles is a dazzling literary feat that brilliantly reimagines Homer’s enduring masterwork, The Iliad. An action-packed adventure, an epic love story, a marvelously conceived and executed page-turner, Miller’s monumental debut novel has already earned resounding acclaim from some of contemporary fiction’s brightest lights—and fans of Mary Renault, Bernard Cornwell, Steven Pressfield, and Colleen McCullough’s Masters of Rome series will delight in this unforgettable journey back to ancient Greece in the Age of Heroes. Throw away the tale of the invincible Achilles foiled because of that vunerable spot in his heel that wasn't touched by the waters of the river Styx. Now replace this with a man-god who falls in love with his childhood friend Patroclus, a man who would follow him to the ends of the earth. But Achilles needs to choose his path: will he answer the call of his destiny to become a god? Or will he choose true happiness with the man he loves? *Sigh. * I've fallen in love. Again. This was among my favourite reads for 2013. I had been meaning to review this but I seem to have such a harder time reviewing books I love because I agonize over how to express why I love the book so much. In the meantime, I decided to re-read it and now I have to put this book among my all-time favourites. If you got bored with mythology in school, this is a far cry from it. This is well written, engaging and entirely accessible. It features a bevy of gods and goddesses but with oh-so-human feelings and personalities. There is drama, love, backstabbing and politicking, and epic heroic battle. There are lessons to be learned. There are stories to be immortalized. This is about tortured souls, heartache, and ambition. The golden boy Achilles torn between true happiness of loving and of the call of his destiny for godhood. The weakling Patroclus who eventually grows into his own and is torn between protecting Achilles' reputation as a god-man and of declaring to the world his love. The chilling sea nymph Thetis is torn by her raw ambition for her son's success and her deep love for him. If you want to feel every emotion, hang on every word said, and find out how this love story plays out, I urge you to pick this up. I am willing to bet that you will love it just like I did. There are books. And there are books that are a cut above the rest. This one is way above those. Verdict: An intimate retelling of the love story between the mythological characters of Achilles and Patroclus, this book will throw away any misconceptions that mythology is dull or boring and will seal your love of all things Madeline Miller. Shout out to Ellie of Curiosity Killed the Bookworm -- I won this over on her blog during a Literary Giveaway Blog Hop last year! I love pretty much all the retellings of this story and this one was a real gem.